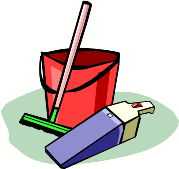 School is out and it is time to revamp/clean up the house. It is time again to clear out the clutter in the house. The last time I really cleared out all the unwanted papers was during the June holidays. Clear up and stack up the cutlery and crockery drawers/cupboards. Sort out the boys toys AGAIN into the various containers/drawers. Tidy up the clothes in the wardrobe. So far this week I have managed to tackle the large pile of clothes on the sofa. I’m left with only a few pieces of clothes to iron. What do you have to do this holiday?